The Who's 2015 North American tour didn't go as smoothly as planned, but Roger Daltrey and the gang recovered in time for last year's Desert Trip (a.k.a. "Oldchella"). Now, they're switching up the usual touring regimen again by booking a Las Vegas residency. 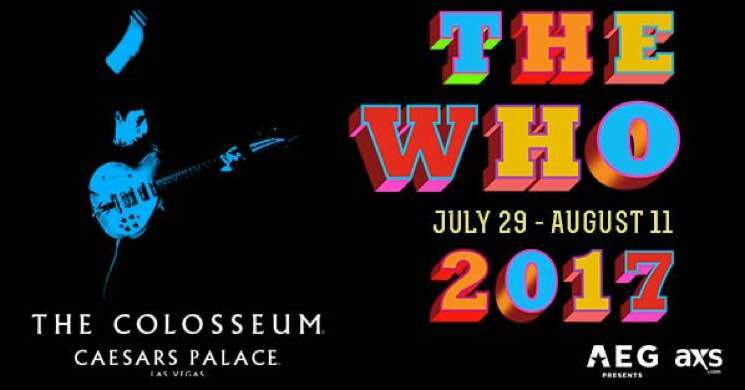 The Who will play six concerts at the Colosseum at Caesars Palace this summer. The run is scheduled to kick off on July 29, followed by shows on August 1, 4, 7, 9 and 11. As Rolling Stone points out, those dates are billed as a "first run," meaning it's possible that extra shows will be added later. It marks the first time a "rock group" has performed at the venue since it opened back in 2003. Previous performers include Celine Dion, Rod Stewart, Mariah Carey and Elton John. Fans who are feeling lucky can try to snag tickets when they go on sale this Friday (March 17) at 12 p.m. PT via the Las Vegas venue's website.